If you visit Gangjeong village, you may want to join daily morning 100 bows which starts at 7 am in front of the base gate. The practice of bow for life and peace first originated from Buddhist monk Dobub. It has become widely practiced, regardless of religion, by people in Gangjeong who started it on the Gureombi Rock which was not covered by concrete then in early 2011. After the Gureombi Rock was fenced off, people bowed in front of base construction gates for years. 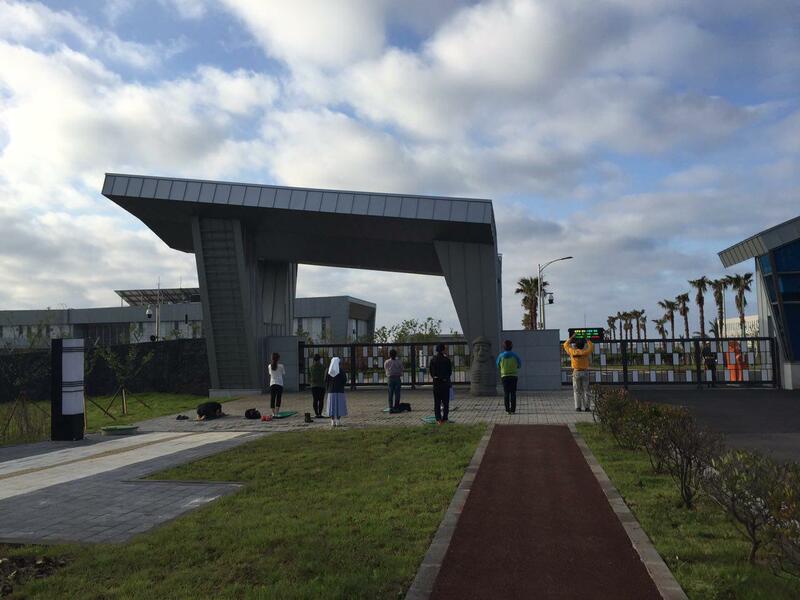 And with the completion of base construction, people gradually began to bow in front of the base gate. It is challenge to many people to wake up early so it is only a few people who daily appear in the site. Still they say that it helps them to meditate and feel better. Here, we introduce the script translated by Fr. Park Mun-su and a friend of Jean Chapman. The Hyanglin church site introduces the original Korean script with this audio file. See here. While holding in my heart that truth gives freedom to life I make my first bow. Believing that the first step in solving a problem is self reflection I make my second bow. Looking back at my foolishness of living without knowing the root meaning of life I make my third bow. Recalling how I have been unable to live my life seeking truth based on facts I make my fourth bow. Being struck by the crisis of life, the crisis of peace in today’s culture I make my fifth bow. Holding in my heart the fact that anti-life and anti-human contradictions and dangers have their origin in my own dualistic world view I make my sixth bow. As I hold in my heart that possessions create other possessions and wars only give birth to other wars and cannot solve problems I make my seventh bow. As I hold in my heart that it is illusory to think that riches and first place bring happiness I make my eighth bow. As I hold in my heart my embarrassment over my ignorance for not knowing what is my role in the world I make my ninth bow. As I hold in my heart that the way to life-peace is a life of relationship where I and thou have existence dependent on each other I make my tenth bow. As I hold in my heart that the way to life-peace is to know and cultivate oneself from the viewpoint of life I make my eleventh bow. As I hold in my heart that the way to life-peace is to accept the world’s pain as my own pain I make my twelfth bow. As I hold in my heart the truth that true love of self is to love my neighbor as myself I make my thirteenth bow. As I hold in my heart that the way to life-peace is reflection responsive to the realities of my life I make my fourteenth bow. As I hold in my heart the words that show the way for a life of truth to be understood and put into practice by anyone I make my fifteenth bow. As I hold in my heart that the way to life-peace is a penetrating vision of the truth of existence and the truth of life, just as they are, I make my sixteenth bow. As I hold in my heart that the way to life-peace is listening intently to the sound of oneself and the sound of the world I make my seventeenth bow. As I hold in my heart that the way to lead the reform of the world is to reform one’s own life I make my eighteenth bow. Recalling the times my life on the inside and on the outside was not able to be straightforward I make my nineteenth bow. As I hold in my heart that life-peace is of value greater than anything else in the world I make my twentieth bow. In order to set up my life not strapped by language but have existence regulate language I make my twenty-first bow. In order to set up a sense of values and a way of life that is not a slave of money I make my twenty-second bow. In order to strengthen my philosophy and beliefs of a life free from a sense of relative deprivation I make my twenty-third bow. In order to strengthen a life that overcomes the artificial order made by human greed and respect the order of the natural cosmos I make my twenty-fourth bow. As I savor the first paragraph of the book of life-peace that thoroughly describes a geological world view based on the facts of life I make my twenty-first bow. As I hold in my heart the truth of the cosmos’s life that one thing’s existence is a condition for another thing’s existence I make my twenty-sixth bow. As I hold in my heart the truth of the cosmos’s life that the non-existence of another thing is the condition for the non-existence of this thing I make my twenty-seventh bow. As I hold in my heart the eternal truth of order in the universe, inter-dependency, support, creation and obliteration, I make my twenty-eighth bow. As I reflect on the fact that existing life is intertwined like a net I make my twenty-ninth bow. As I savor the second paragraph of the book of life-peace that thoroughly describes how life in the universe is in fact originally a community of one body, one life I make my thirtieth bow. As I hold in my heart that all life depends on nature and exists as a living community I make my thirty-first bow. As I hold in my heart that our country depends on its neighboring countries and lives as a community of nations I make my thirty-second bow. As I hold in my heart that our religion depends on neighboring religions and acts as a community of religions I make my thirty-third bow. As I hold in my heart that our village depends on neighboring villages and lives as a community of villages I make my thirty-fourth bow. As I hold in my heart that our family depends on neighboring families and lives as a community of families I make my thirty-fifth bow. As I hold in my heart that I depend the other and I live as a community of life I make my thirty sixth bow. As I hold in my heart that all beings depend on each other, support each other, and live as an eternal community of existence I make my thirty-seventh bow. As I hold in my heart that community life becomes blessed only when it walks in the truth of mutual dependence and help I make my thirty-eighth bow. As I savour the third paragraph of the book of life-peace repenting a life lived selfishly I make my thirty-ninth bow. As I repent a selfish human-centered life that treats nature, the root of life recklessly, I make my fortieth bow. As I repent my selfish life centered on my own country, overlooking the importance of our neighboring country, which our country depends on, I make my forty-first bow. As I repent my closed way of life centered on my own religion, disobeying the will of the originator and not recognizing the dignity of neighboring religions I make my forty-second bow. As I repent my selfish way of life centered on my family and failing to give thanks to neighboring families on whom we depend I make my forty-third bow. As I repent my selfish way of life centered on myself, treating lightly the dignity of the other, who is the parent of my life, I make my forty-fourth bow. As I repent my life selfishly and wrongly centered on my own groups, my country, my religion, my family, I make my forty-fifth bow. As I repent my life of wrong self-love, with its logic of power and possession, of competition and dominance, I make my forty-sixth bow. As I savour the fourth paragraph of the book of life-peace on how to serve and honor all life I make my forty-seventh bow. As I resolve to live by the truth that human life and security and happiness comes from first honoring nature as the God of my life I make my forty-eighth bow. As I resolve to live by the truth that my country’s security and peacefulness comes from honoring my neighboring country as God of my own country I make my forty-ninth bow. As I resolve to live by the truth that my religion’s true light comes from honoring my neighboring religion as God of my religion I make my fiftieth bow. As I resolved to treat my neighbor as one of God’s family and I realize this will guide my family in a secure, happy and truthful way, I make my fifty first bow. As I resolve to live by the truth that my security and peacefulness comes when I treat others as the living God, I make my fifty second bow. As I deeply comprehend reality and lead a life of contentment, which is the fifth article of the Life and Peace Scripture, I make my fifty third bow. As I resolve to discard the human egoistic greed to exploit nature, I make my fifty fourth bow. As I resolve to let go of chauvinistic nationalism which makes other countries insecure, I make my fifty fifth bow. As I resolve to let go of the superiority of my religion which makes other faiths insecure, I make my fifty sixth bow. As I resolve to abandon family-centered ideas which make other families insecure, I make my fifty seventh bow. As I resolve to let of egoistic thoughts which make others suffer, I make my fifty eighth bow. As I respect and become thankful for the values of natural world, I make my fifty ninth bow. As I respect and become thankful for the values and traits of other nations, I make my sixtieth bow. As I respect and become thankful for the values and traits of other faiths, I make my sixty first bow. As I respect and become thankful for the values and personalities of other families, I make my sixty second bow. As I respect and become thankful for the values and traits of other people, I make my sixty third bow. As I realize that mutual cooperation and helping each other is the path towards a truthful life, I make my sixty fourth bow. As I understand that the truthful path of mutual cooperation can be realized by our reflection and sacred aspirations, I make my sixty fifth bow. As I deeply understand that my vow of Truth and Peace is the corner stone of my life, I make my sixty sixth bow. As I deeply resolve in my heart not to inflict psychological or physical violence in any circumstance, which is the first article of the vow of Life and Peace, I make my sixty seventh bow. As I repent for all my transgressions of a psychological, verbal, sexual, economic and social nature, I make my sixty eighth bow. As I regret that I was resentful not toward myself but toward society, I make my sixty ninth bow. As I resolve to treat everyone wherever and whenever with a peaceful mind and action, I make my seventieth bow. As I resolve to become thankful for the friendship of all living beings, I make my seventy first bow. As I resolve to respect all lives without any prejudice and bias, I make seventy second bow. As I resolve to live in a humble and diligent way in order to abandon injustice within myself as well as in this society, I make my seventy third bow. As I resolve to resist all kinds of prejudice and all causes of violence, I make my seventy fourth bow. As I understand and respect others and thus realize my life shines, I make my seventy fifth bow. As I resolve to have the attitude of deep listening and conversation, which is the third article of Life and Peace Vow, I make my seventy sixth bow. As I remember that the beginning of violence starts from my opinionated ideas and hatred towards others because of differences, I make my seventy seventh bow. As I remember that I need to learn the history, but need to be liberated from the past, I make my seventy eighth bow. As I resolve to solve all matters in a candid and humble way and treat others with great patience and generosity, I make my seventy ninth bow. As I protect all human’s freedom of expression and diversity of all cultures, I make my eightieth bow. As I resolve to live the fire of sharing and modesty, which is the fourth article of Life and Peace Vow, I make my eighty first bow. As I am certain of the truth that the life of frugality is the path for eternal progress, I make my eighty second bow. As I resolve to live my life by respecting and helping others, I make my eighty third bow. As I resolve to create the peace village within myself first, I make my eighty fourth bow. As I resolve to protect all lives and their environments which is the fifth article of Life and Peace Vow, I make my eighty fifth bow. As I repent that my way of living has polluted the environment, I make my eighty sixth bow. As I ponder that the path to help nature, farming village, agriculture is the way to make all living beings alive, I make my eighty seventh bow. As I resolve to protect all eco-systems and respect all the cycles of natural lives, I make my eighty eighth bow. 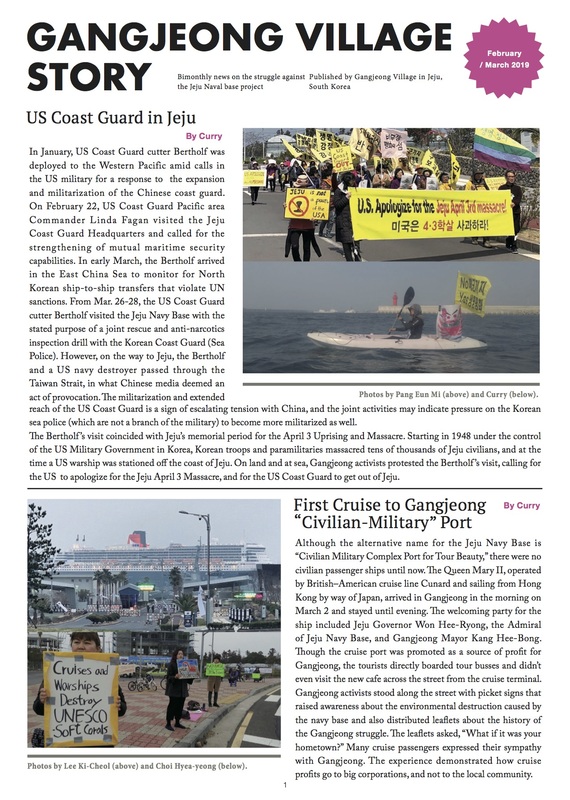 As I resolve to become the pioneer who realizes the peace of the Korean peninsula, which is the sixth article of Life and Peace Vow, I make my eighty ninth bow. 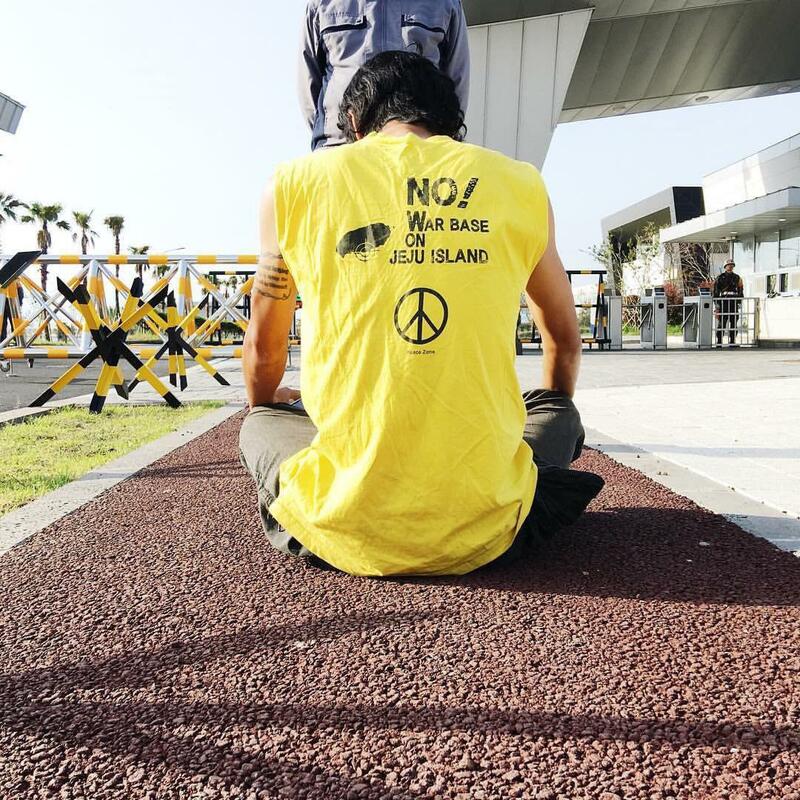 As I understand that peace can be realized only through the action of truth, love and non-violence, I make my ninth bow..
As I resolve to become the pioneer to actualize non-violence and prevent the war in Korea, I make my ninety first vow. As I resolve to resist with non-violence any kind of authority, custom and violence that make people unhappy, I make my ninety second bow. As I resolve to study and practice the truth, which is the seventh article of Life and Peace Vow, I make my ninety third bow. As I realize that my spiritual study and practice to calm my mind is the path to realize peace in the world, I make my ninety fourth bow. As I realize the path to cure and purify my mind is the way to realize peace in the world, I make my ninety fifth bow. As I realize that my small deeds of non-violence, words and thoughts are the foundation of world peace, I make my ninety sixth bow. As I realize that I am the light of life and peace, I make my ninety seventh bow. As I pray that the light which I illuminates shines on my neighbors and this society, I make my ninety eighth bow. As I pray that all people become the light of life and peace and this illuminates the world, I make my ninety ninth bow. As I pray that the light that I kindle leads all sentient beings to live in peace and happiness, I make my one hundredth bow. Photo by Joan/ A morning bow in front of the base gate in May 2016. 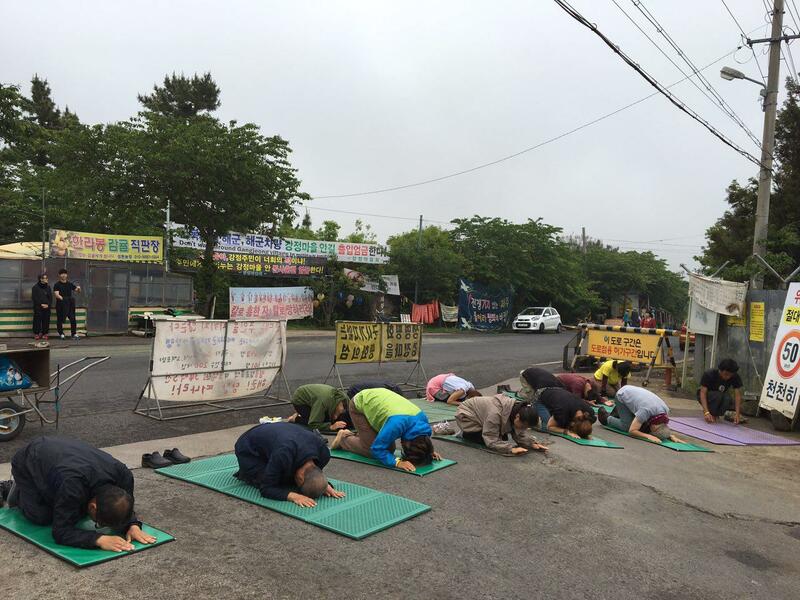 Photo by Choi Hye-Young/ An activist in meditation in front of the base gate in May 2016.